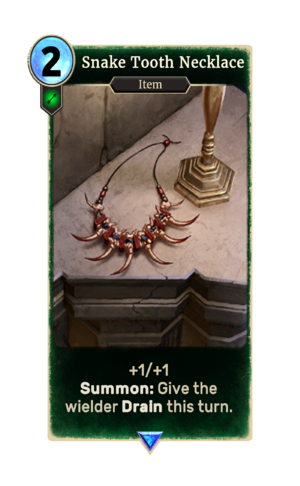 Snake Tooth Necklace is a rare Agility item card. It is part of the Core Set. Prior to January 2017, this card would give permanent Drain rather than temporary Drain. This was changed due to its ability to gain you much more health than was previously lost.